Emotions of shame felt within the LGBTQ community are being explored through psychotherapy and music in a new project presented by the London Gay Men’s Chorus, Europe’s largest gay choir. Led by British artist Jordan McKenzie, in partnership with the Freud Museum in London, "Shame Chorus" is an hour-long performance of 12 songs that have been composed based on recorded therapy sessions with Chorus members. Looking at topics of shame and sexuality, each song reflects an interview with an individual person, where issues surrounding childhood, bullying, mental health and coming out are discussed in a one-on-one psychoanalysis lasting approximately an hour. The sessions were transcribed anonymously and sent to a diverse range of composers, including Billy Bragg and Jessica Curry, producing an eclectic mix of both musical style and creative interpretation of the subject. Identifying as LGBTQ can often be met with stigma and discrimination, resulting in mental health problems and substance abuse, to which rates of self-harm and suicidal thoughts exceed national levels among 16-25 year-olds in England, according to a 2014 report by social research project Youth Chances. Taking cues from Sigmund Freud’s "talking cure" –- the basis for psychoanalysis where patients talk freely in order to understand themselves better –- Orbach listened while members of the London Gay Men’s Chorus spoke about growing up, family relations and what joining the Chorus meant to them. Steven Smith, a 29-year-old singer-songwriter and Chorus member, was one of them. Smith, who joined the Chorus at the beginning of last year, wrote his own song as part of the production. Titled "Leaving," the track is a pop number paired with some contemporary classical elements, dealing with subjects related to change and his experience of moving to London from Scotland. 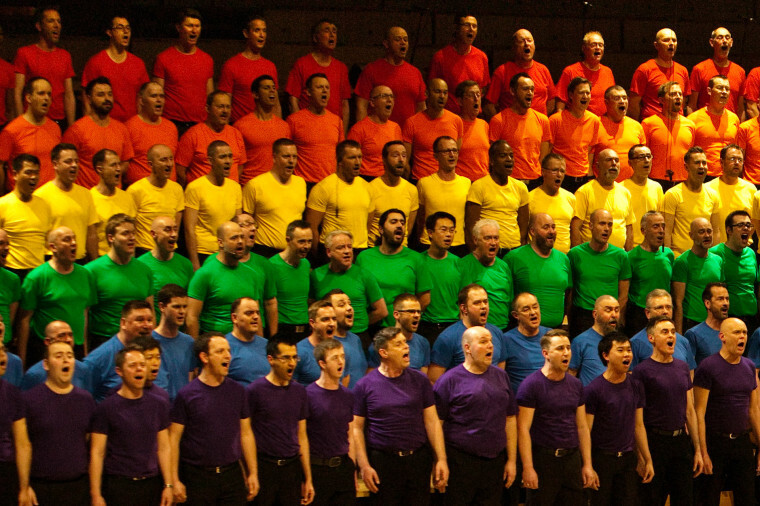 Established in 1991, the London Gay Men’s Chorus is a charity with more than 200 voluntary members. Much like "Shame Chorus," the group partakes in youth outreach programs, battling homophobia through song. McKenzie hopes the result of the project is something that many can relate to. “Although the testimonies are from gay men, we deliberately had a whole variety of composers to show that shame is a universal emotion and a universal subject, which is personal to everyone,” he said. The next performance of "Shame Chorus" will take place on October 8 at the London Irish Centre. Tickets are £15.00. Catherine Chapman is a London-based journalist.